This fall we'll be hosting reunions for both Women's Golf and Volleyball teams. Visit the Reunions page for more information. Join us in the heart of Seminole football season for a '73-'75 teams reunion. Visit the Reunions page for more information. Come celebrate with other Varsity Club members during this event-filled weekend. Mark your calendars now so you don't miss a thing! Attend the Hall of Fame Ceremony to see FSU greats get inducted into the Hall of Fame. 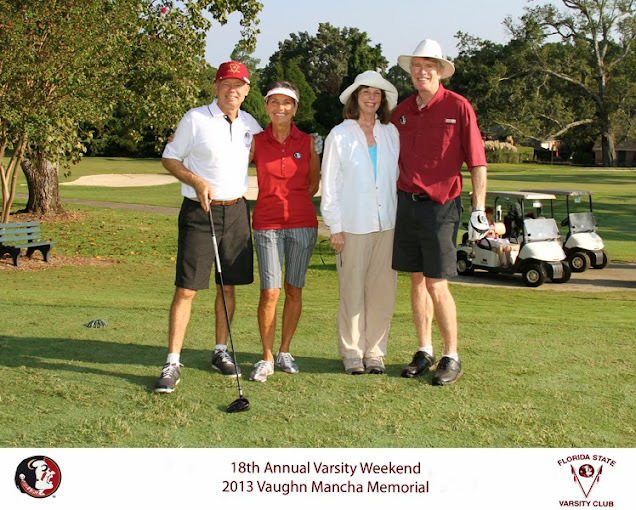 Our annual Varsity Club Golf Tournament will be honoring Colleen Walker this year. Did you attend this year's Celebrity Golf Classic? Congratulations to our 2013 National Champions, the Florida State Football team!